MORROW, Ga. – Trailing by 13 early, the No. 21 University of North Georgia women’s basketball team fought all the way back and hung on late for a 70-65 win over Clayton State Monday night at The Loch. The Nighthawks have won 11 straight games and are two wins away from clinching a spot in the Peach Belt Conference tournament. The Lakers jumped out to 12-3 lead in the first four minutes and extended that lead to 20-7 before the Nighthawks started chipping away. UNG cut the lead to just one at the half for a 34-33 score after two quarters. North Georgia took its first lead of the night with 6:06 to play in the third period, 37-36, but the Lakers stretched their lead back out to six through the third. The Nighthawks went on to outscore Clayton State, 25-14, in the final period to claim the road win. 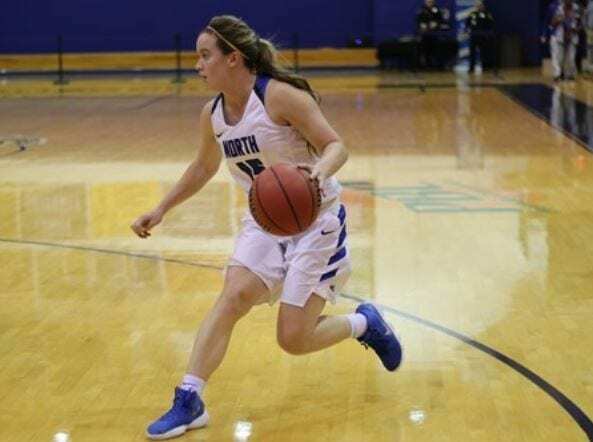 Amber Skidgel came alive in the fourth quarter to lead the Nighthawks in scoring with 20 points on 7-of-13 shooting, including three baskets from distance. – Julie McKie scored 12 points, all of which came from the free throw line. For the Lakers, Abreylin Rackley led the way with 18 points, 12 of which came from behind the arc. – Only three other times has North Georgia had a winning streak go 11 games or longer since the 2001-02 season, including two 15-game winning streaks. – UNG went 30-of-36 from the free throw line in the game. The 30 made free throws ties the fifth-most made free throws in a single game in the NCAA era. The Nighthawks will finish a three games in five days stretch with a home game against Columbus State on Wednesday. The game will tip off at 5:30 p.m. and will also serve as Faculty Appreciation Night. « Previous Article Short Takes - Just Another Shooting?